Back in 2004, which seems like such a long time ago now, I was part of The Militia Group street team and as such we did work with SideCho Records as well which is where/how I found out about MC Lars because that was where he released his "Laptop EP". 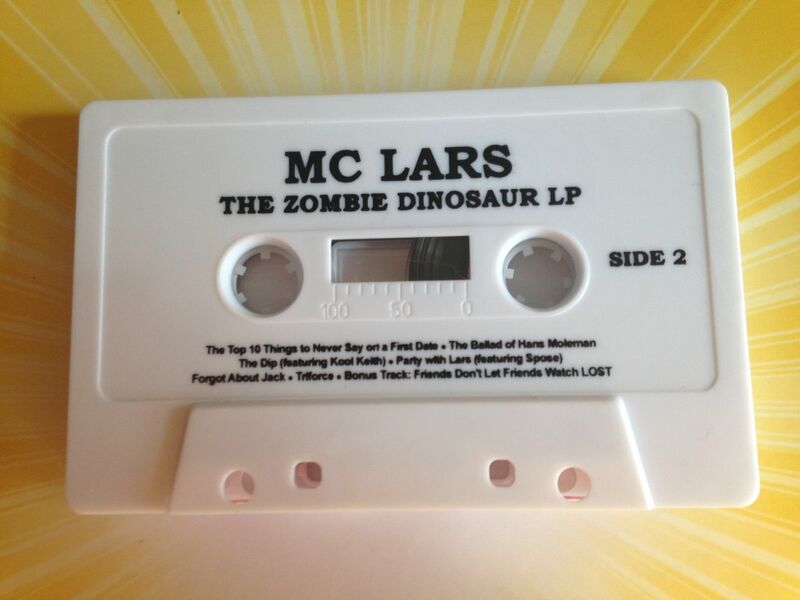 When listening to that EP, I didn't really know what to think of MC Lars because he was just doing things then that simply hadn't been heard of before. I'm still not sure what genre he would fall into now, though others such as MC Chris have made it easier for him to be a nerd rapper and help create what is known as "nerdcore". 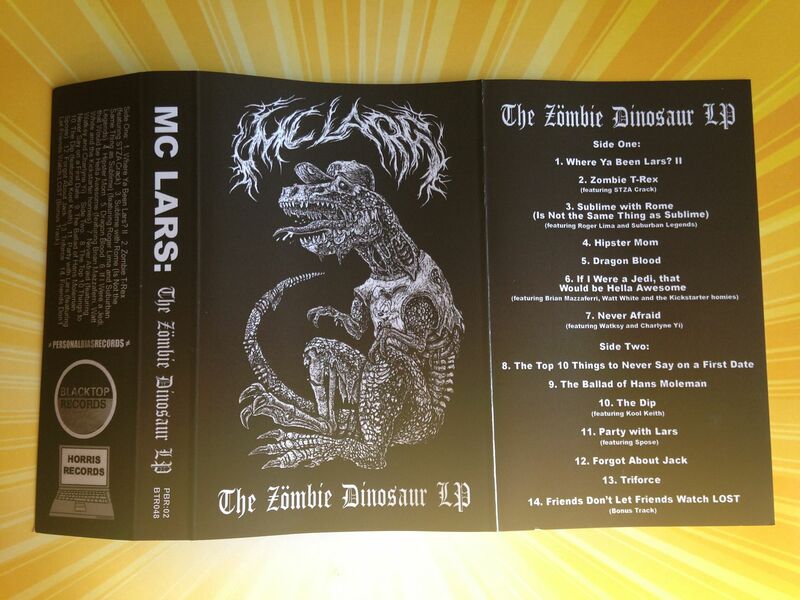 Within the first song, which is really an introduction of sorts, MC Lars explains where he's been, details how many albums he has had (This is his fourth full length, but he even tells you how many EPs he has released and such) and then goes on to tell you he'll be in a cartoon series in 2038 which actually based on the description sounds like something I would watch. I will always agree with the idea of MC Lars that Hot Topic is not punk rock and so in some ways I will always agree with his lyrics and such but at other times it just feels like he's straight up reading my mind. Take a song such as the third one in which he basically says that bands without their original lineups are not the same bands. This is what I've been saying for how long now? I guess more people would listen to me if I also got the guy from Less Than Jake to turn it into a skacore song with me, but yes, Sublime with Rome is a disgrace and really when you listen to this song don't forget about the fact that Alice in Chains and Blind Melon also both have toured without their original lead singers and, well, then there's that dude from Linkin Park joining Stone Temple Pilots but I'm moving on now. Perhaps that song hits a little too close for me. Speaking of hitting too close to home, "Hipster Mom" is a song about mothers who eat organic and all of this other stuff which, um, yeah, at this point in my life I know a little bit too much about because having a child and seeing other people with their children (even people you're meeting for the first time that are also parents) I do know people who are exactly like this and it's kind of scary but yet all too funny. Luckily, this takes us into a song called "Dragon Blood", which I don't relate to at all because I don't watch "Game of Thrones". (Though it is still a nice sort of fight type anthem) but then we have a song about "Star Wars" which, really, if you don't get then you've picked the wrong site to visit, my friend. If you look back into the earlier years of The Militia Group, you'll find essential albums from my collection such as Tora! Tora! 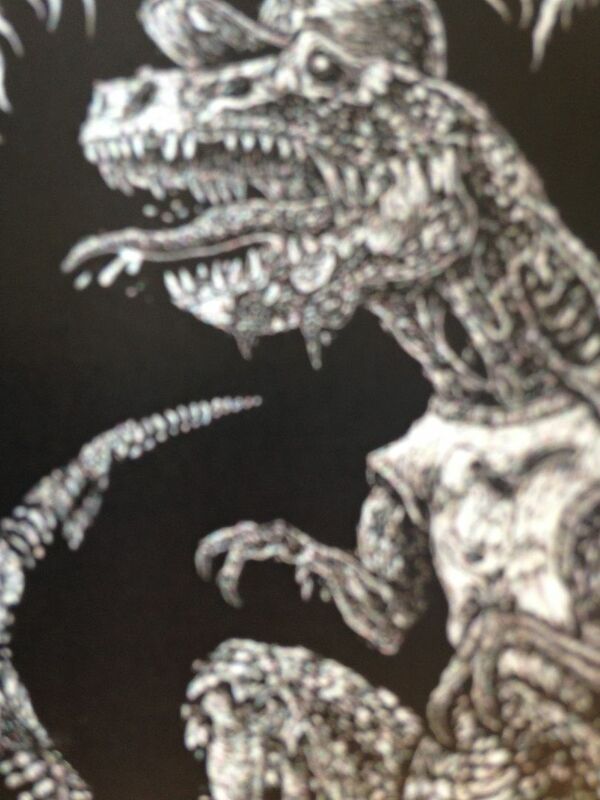 Torrance! "Get Into It", Veronica "Hope For A Brighter Future", Noise Ratchet "Till We Have Faces", The Beautiful Mistake "Light A Match, For I Deserve To Burn", The Lyndsay Diaries "The Tops Of Trees Are On Fire", Copeland "Beneath Medicine Tree" and The Rocket Summer "Calendar Days". This was from a time in my life when I was just listening to so much music and The Militia Group seemed to just be putting out album after album of greatness (which continued with Big Collapse, Lovedrug and Anadivine, but I kind of stopped listening to them as much in 2005. The sister label, if you will, in SideCho Records had artists such as The Pale (Pacific) ("Gravity Gets Things Done" is among my all-time favorites), Tokyo Rose and Sherwood. I'm not 100% certain where any of these artists are right not with a few exceptions (The Rocket Summer and Copeland seem to be active still, while Sherwood just announced a comeback) but nothing will feel like those days again for me. Ever. 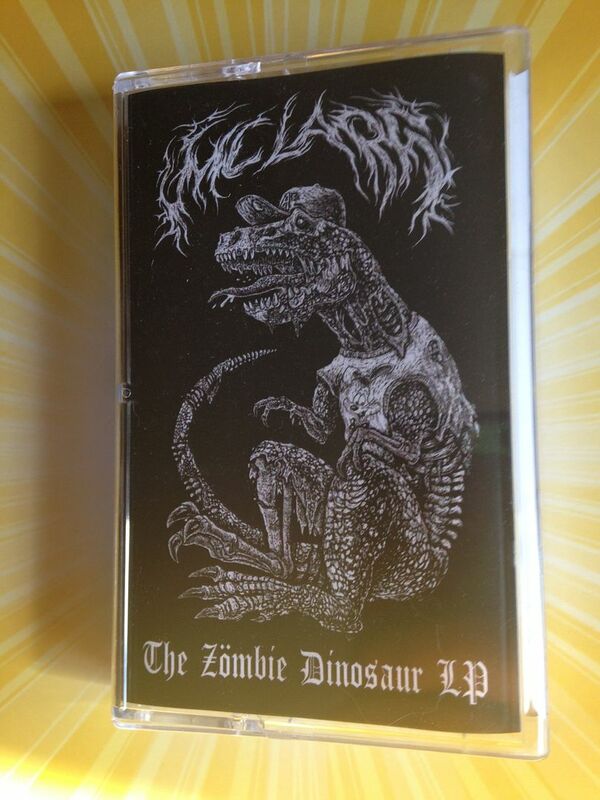 Hearing this new album by MC Lars on cassette just brings things full circle for me in a lot of ways. When I first heard MC Lars I was still living at home with my parents and I had that "Laptop EP" sticker and I stuck on the wall in my bedroom. I was doing NCA back then, and yet now, here I am with a different vice and a family of my own. 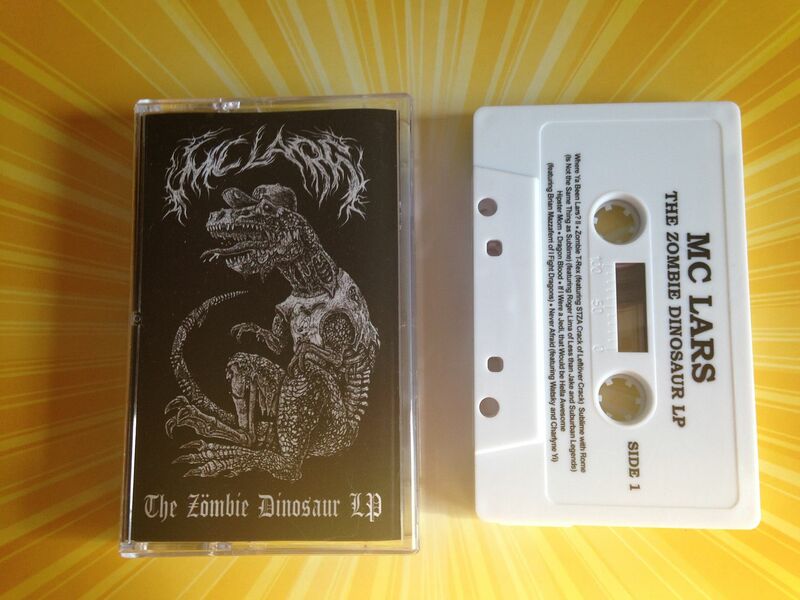 In the same respect, MC Lars has his own label and is no longer with SideCho Records and it's just kind of that notion that we have both somewhat grown up or at least endured over time. And I think that's the great part about this whole concept of MC Lars- there will always be nerd stuff for him to sing about and while I can live with all of those other albums being in my past and helping to forge the person I am today, MC Lars needs to be around still because of songs like "The Dip", which is about my all-time favorite movie. While I wish that artists of my past would return in my present and release new music which still resonates with me as much as they did back then, it just isn't happening. 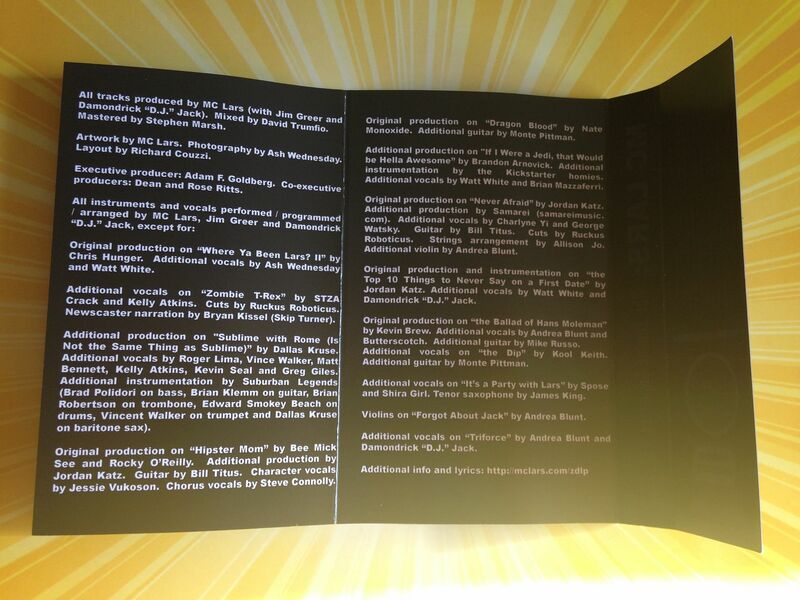 The new Sherwood album might be the exception, but will anyone release it on cassette? (Please?) 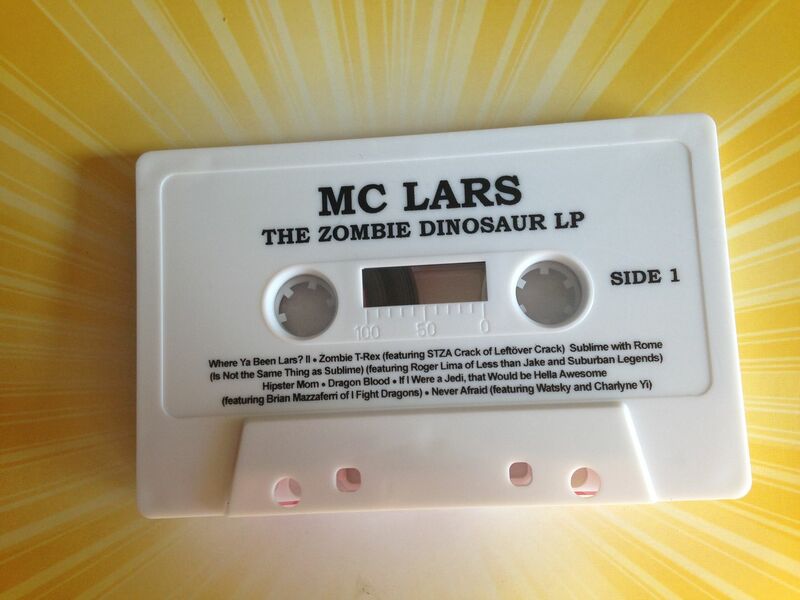 So it's odd that not only is MC Lars still making music (and I'm still writing about music) but also that this fourth album of his would be released on cassette which is what I write about most right now. This has definitely moved MC Lars into a category beyond "essential" as it seems likely that I will want to hear him make music literally forever. There aren't many artists which I can say that about, but I know that ten years from now they'll reboot Spider-Man as a film franchise and I'll want to hear his songs about it. He's just become such a part of the culture as much as the culture itself and he's no longer essential as much as necessary.